I have this love/hate relationship with raw tomatoes. They look and smell so yummy and delicious, with those little seeds encapsulated in bits of gel that seems like it would just burst awesomeness all over your tastebuds. The idea of a BLT is tantalizing, and sometimes I can just imagine the freshness of a ripe juicy tomato and a helping of fresh corn together. Mmmmm. At any rate, I love making tomato dishes for the lucky folks in my life that get to eat these juicy bits of (imagined) deliciousness. 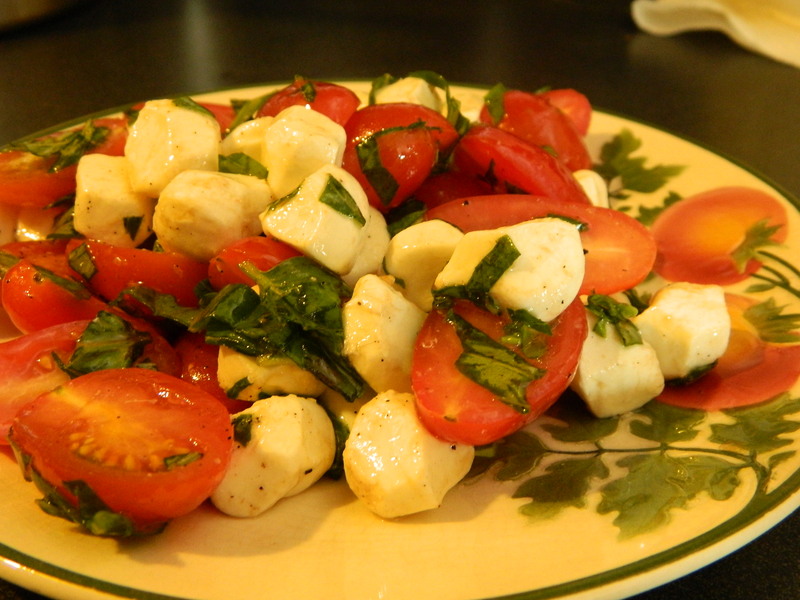 A summer favorite around my house is Ensalata Caprese. Now, there are a hundred variations on this old theme, but basically it’s just tomatoes, basil, moz cheese, and some balsamic and olive oil. Here, I’ll show you. 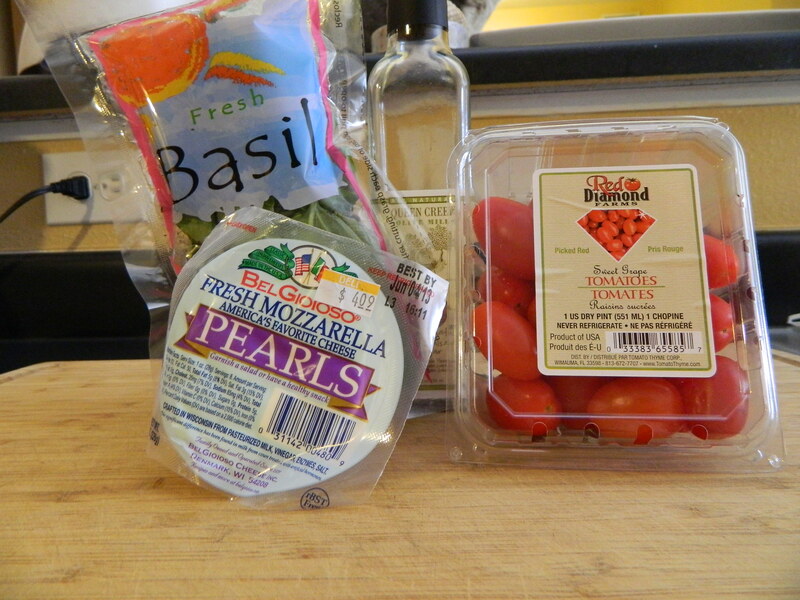 Basil, tomatoes and cheese are the basics for this dish! Pull those little pearls apart. Try to refrain from popping them in your mouth as you go! There’s a lot of those little suckers in there, the packaging will fool you. 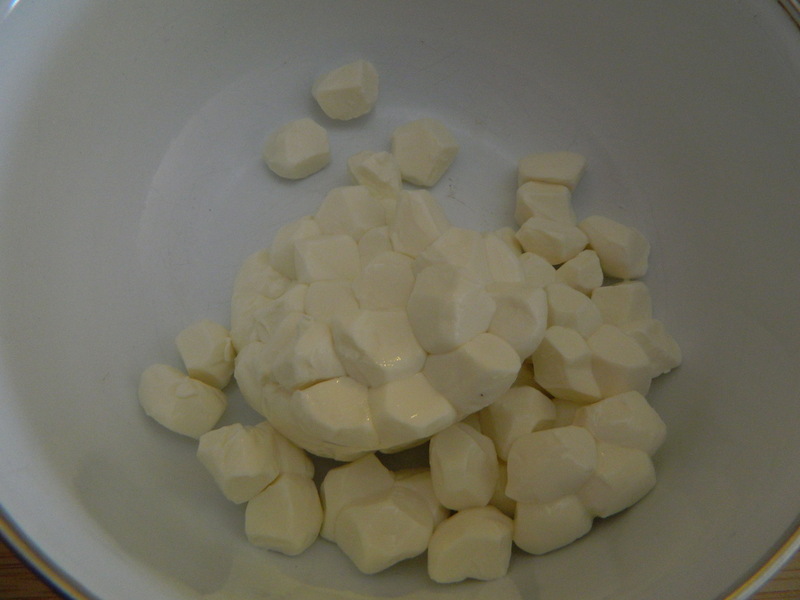 Try not to eat them all before you make the salad. 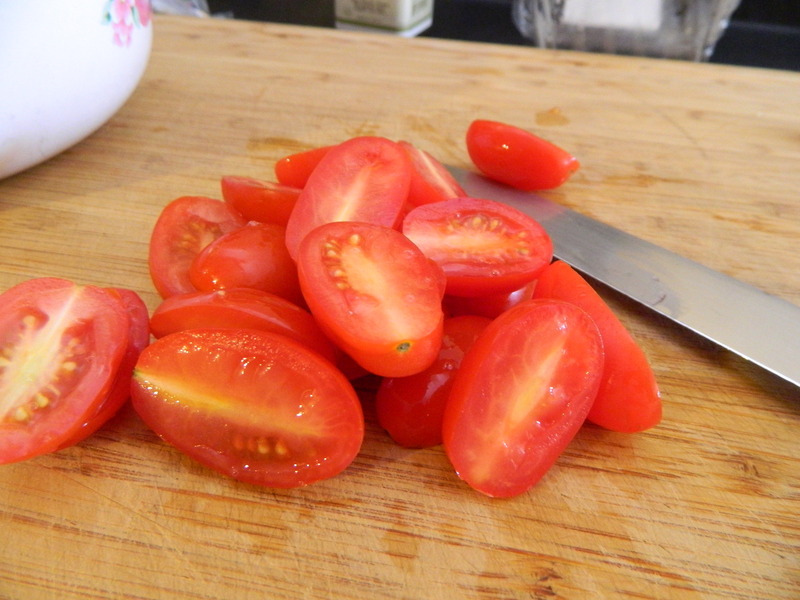 Slice those lovely little red tomatoes into halves. Don’t be fussy about this. “Approximately in half” is sufficient. 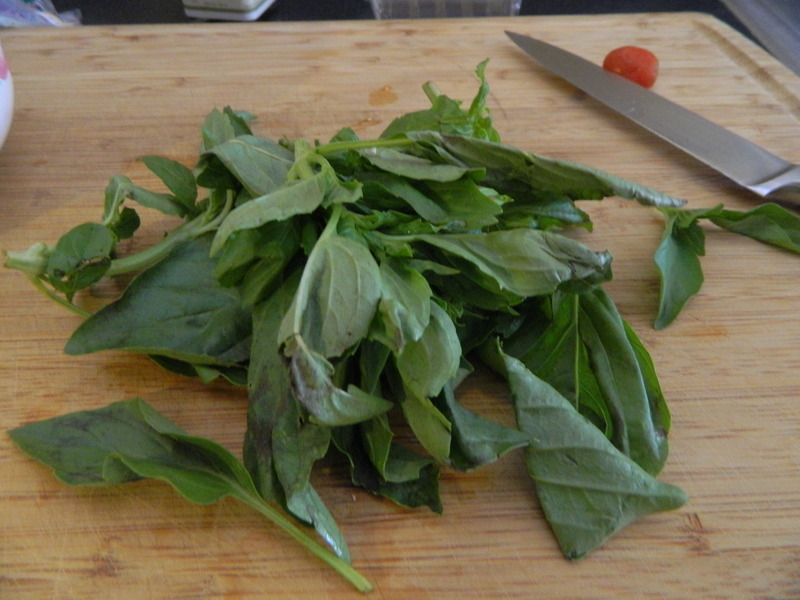 Grab that bunch of basil and just bury your face in the leaves and inhale that herby goodness. Is that just heaven or what? Roll them in a tight little bundle and sliver away. The fancy word for that is “chiffonade”. Lightly toss all your ingredients in a bowl with a sprinkle of sea salt, a twist or two of fresh cracked black pepper and a drizzle of olive oil. I like to add a little balsamic vinegar for some kick. Try a fruity balsamic for a light flavor. Serve on a beautiful plate, pour yourself some wine and enjoy! Simple, fresh and elegant. Ta da! So simple. I just love this vintage plate that belonged to my husband’s grandparents.